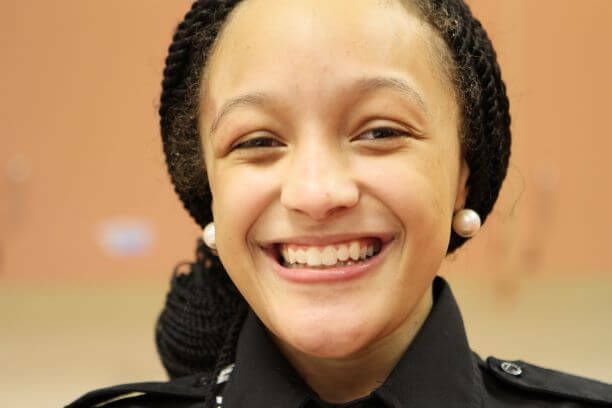 RICHMOND, Va. – Selected among four outstanding youth, NiyAzia Tune has been named the Youth of the Year by The Salvation Army Boys & Girls Club in Richmond’s East End. NiyAzia will now contend for the Virginia Youth of the Year title in April and a $5,000 college scholarship from Boys & Girls Clubs of America. The statewide event will be held in Richmond beginning April 4. The sixteen-year-old Franklin Military Academy student nabbed the title after she and three other finalists were asked to deliver a presentation to a panel of four judges and answer questions about their academic achievements, community service and future goals. NiyAzia, who describes herself as outgoing, caring and thoughtful, said her “heart dropped” when her name was announced. “I was so excited. I couldn’t believe it,” she said. During the competition, NiyAzia told the panel she wants to be a therapist when she grows up and highlighted Club programs she’s participated in like Baby Think it Over, Blue Sky Fund and Keystone Club. She also served children as a member of the dining staff at The Salvation Army’s Camp Happyland in Richardsville, Virginia. The Youth of the Year title is a prestigious honor bestowed upon an exemplary young person in recognition of leadership, service, academic excellence and dedication to live a healthy lifestyle. Now in its 72nd year, the Youth of the Year program honors our nation’s most awe-inspiring young people on their path to great futures and encourages all kids to lead, succeed and inspire. “NiyAzia has grown up before our eyes since joining the Boys & Girls Club at the age of six. 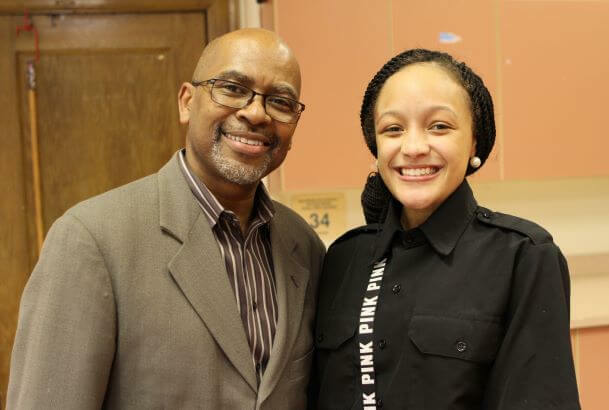 She has participated in the programs and activities offered and is becoming an amazing leader inside and outside of the club,” said Hugh Jones, Executive Director of The Salvation Army Boys & Girls Club. If NiyAzia wins at the state competition, she will compete for the regional title and an additional $10,000 college scholarship, renewable for four years up to $40,000. A win at this level will make her eligible to compete for the title of Boys & Girls Clubs of America’s National Youth of the Year. The National Youth of the Year will receive an additional scholarship of $25,000, renewable each year up to $100,000. The Youth of the Year recognition program is presented by The Walt Disney Company, who has supported Boys & Girls Clubs of America for more than 50 years, empowering young people to reach their full potential and providing youth with access to the tools they need to build the great futures they imagine. Toyota is the Signature Sponsor of the national Youth of the Year program. For more information about the Youth of the Year program, visit www.youthoftheyear.org..
For more than 150 years, Boys & Girls Clubs of America (BGCA.org) has enabled young people most in need to achieve great futures as productive, caring, responsible citizens. Today, 4,400 Clubs serve 4 million young people through Club membership and community outreach. Clubs are located in cities, towns, public housing and on Native lands throughout the country, and serve military families in BGCA affiliated Youth Centers on U.S. military installations worldwide. They provide a safe place, caring adult mentors, fun and friendship, and high-impact youth development programs on a daily basis during critical non-school hours. Club programs promote academic success, good character and citizenship, and healthy lifestyles. In a Harris Survey of alumni, 54 percent said the Club saved their lives. National headquarters are located in Atlanta. You guys got a shout out on Instagram! Congratulations NiyAzia! Good luck in the Nationals! !